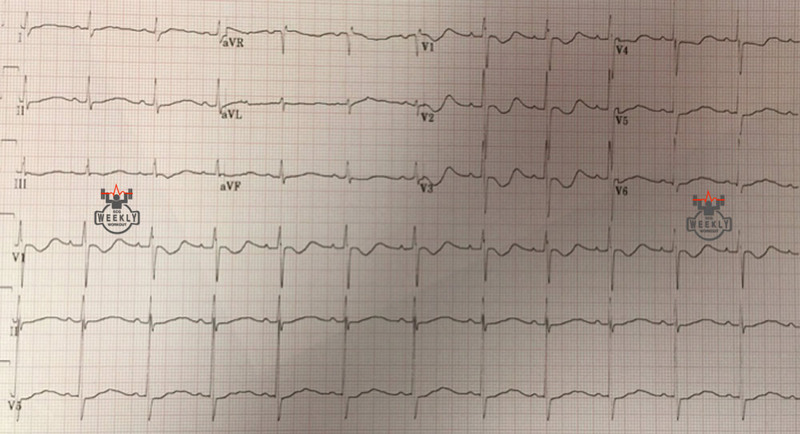 What is the cause of the biphasic T-waves seen in the anterior leads? T-waves should end before the midpoint of the R-R interval. Beware of a prolonged QT when the T-waves end after ½ the R-R wave distance. Kudos: Thanks to Drs. Sean Fox, Prathibha Shenoy, and Osama Muhammad Ali for sharing this week’s case!